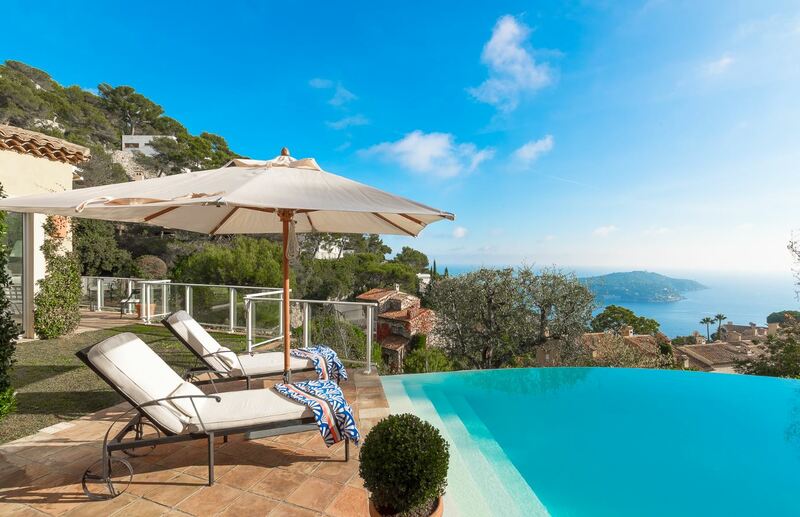 This exceptionally beautiful villa overlooks the bay of Villefranche and benefits from a large infinity swimming pool and an authentic Provencal style. 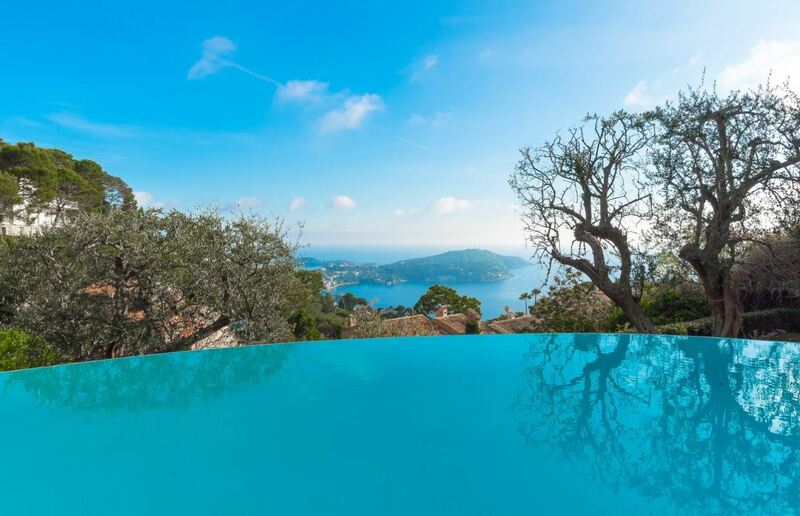 The living area features high ceilings and spacious volumes, leading directly out to the terraced garden and barbecue area. 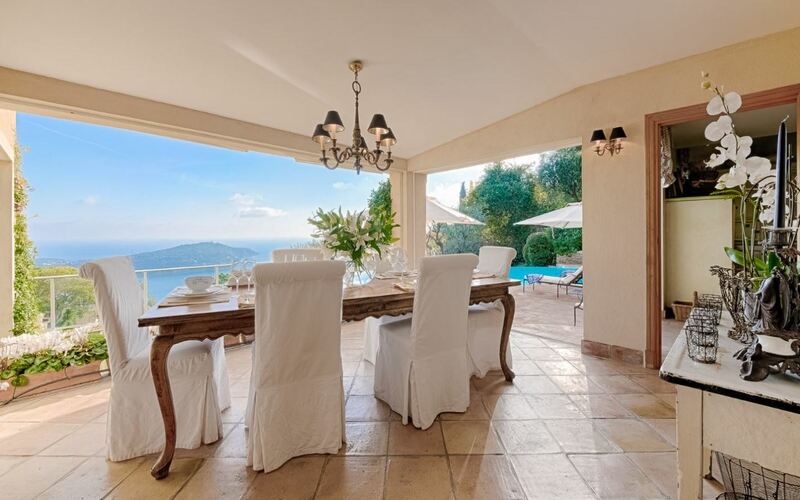 The beautiful dining area can become fully open-air, turning into the perfect outdoor dining setting. 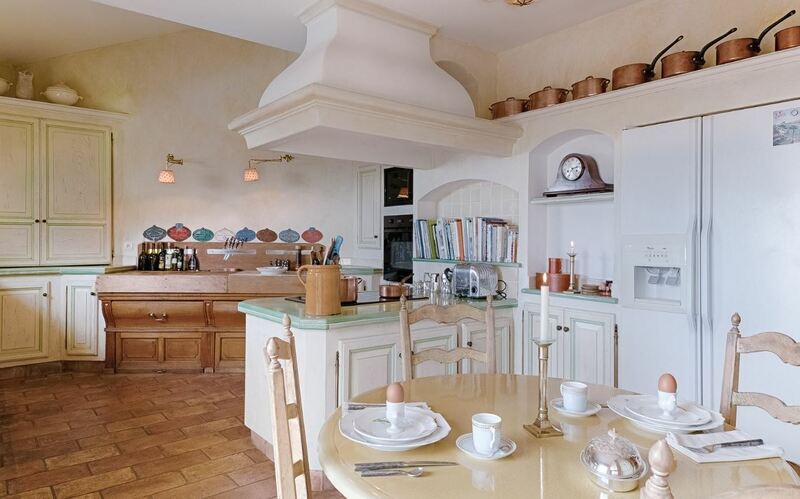 The kitchen is of a classic Provencal style with a breakfast area and views of the pool and the sea. 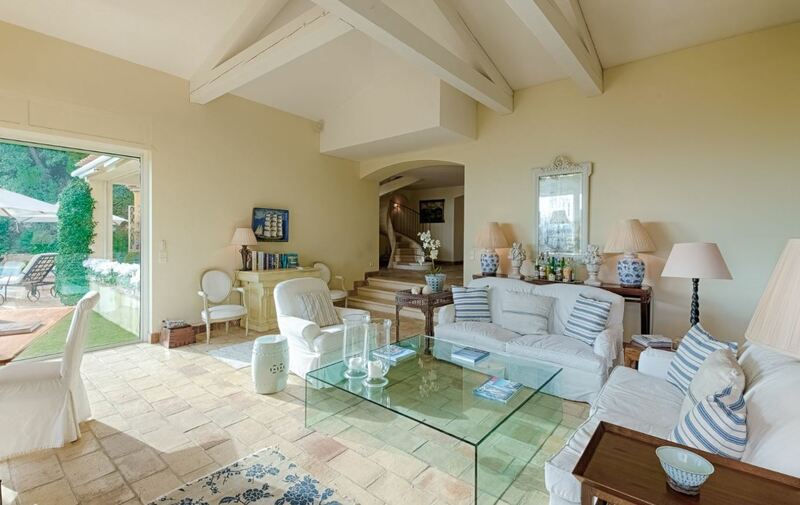 In addition to a downstairs TV lounge, the grand spiral staircase leads to another TV lounge and 4 air-conditioned bedrooms with en-suite bathrooms.